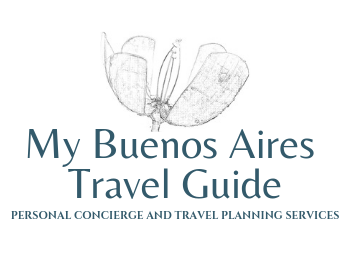 I will make reservations for you for the most renowned and dazzling Tango Shows in Buenos Aires, with or without dinner, always including drinks and transportation from/to hotel. This Tango show takes place in a historic tenement house that has been restored and is located in San Telmo district: the heart of Tango territory. It is the best Tango Dinner-Show if you want to enjoy an excellent cuisine and Argentine wines, in addition to providing an unforgettable tango and folklore show consisting of 32 artists on the stage: two orchestras, four pairs of dancers, two singers, altiplano music and “boleadoras” show. In a unique place for its architecture and French-style decoration, its exclusive details of refinement make Gala Tango the most glamorous site of Buenos Aires. Since you take the first contact with Gala Tango until the end of the show, you will feel in a different place and live a real experience. Gourmet Menu a la Carte specially designed for the most demanding customers accompanied with wines from one of the most exclusive wineries in Argentina. A Typical Orchestra formed by a quintet (piano, accordion, two violins and bass) accompanied by two tango singers, four dancing couples, altiplano music and “boleadoras” show. Buenos Aires is the world capital of Tango, and Faena Hotel experiences the nostalgic mood with intensity through music, dance, clothing and poetry. Lively and ethereal, El Cabaret is the vibrant dance of the award-winning show Rojo Tango. A dazzling live orchestra, great dancers, traditional Argentine cuisine, and a fine selection of local wines and cocktails; makes it a must see production. Take a tango lesson or attend a typical Buenos Aires milonga (a dance hall where Argentines and foreigners gather to dance tango) accompanied by a professional tango dancer/guide. Classes can be arranged daily between 11am and 8pm, or from 9:30-10:30pm directly before a Milonga Outing*. Get a grasp on the true Argentine tango, its importance in the Argentine culture, and how it affects the lives of foreign and Argentine tango dancers. This tour is ideal for those who want to enter deep into the world of Tango by learning the basic concepts of this dance and experiencing a traditional Milonga. Our amazing tour also includes a visit to Carlos Gardel Museum and a historical Buenos Aires Cafe. 05:15 pm: we are going to visit the Carlos Gardel Museum: the house where Carlos Gardel lived with his mother. He was a singer, songwriter, composer, actor and the most prominent figure in the history of tango. The house has been completely restored and nowadays exhibits the goods of cultural heritage and work of the singer. It is a place to learn about different stages of his life through his objects like photos, magazines, newspapers, musical instruments, records and furniture. In the courtyard we will find a table belonging to Café de los Angelitos bar, which we previously visited on the tour. 06:30 pm: after visiting the Carlos Gardel Museum, we are going to take a one hour tango lesson at "La Catedral Club". Milongas such as La Catedral Club are typically Argentine cultural places where you can enjoy a unique experience. It's time for you to learn amazing dance steps along with expert dancers. An unforgettable and truly "porteño" evening!